If your air conditioner is not working at its best and you want a fast, dependable solution, you have come to the right place. The team at Penguin Cooling and Heating is proud to serve the residents of Charlotte, NC and the surrounding area. 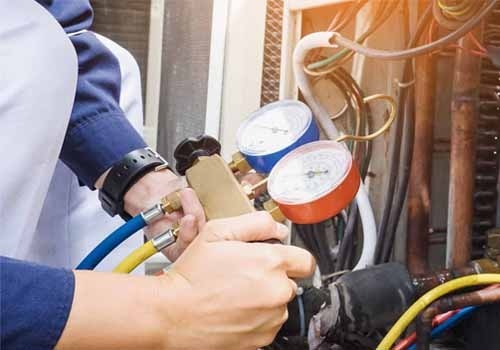 Our focus is AC repair Charlotte NC. We also take calls for residents and business owners in the Ballantyne area as well. 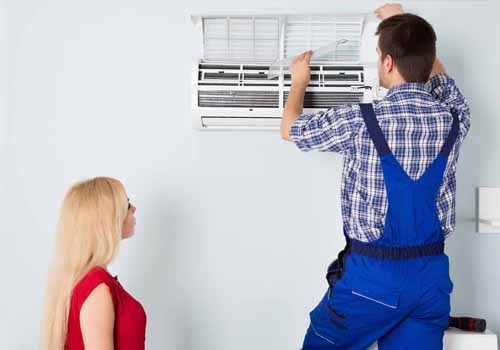 Our AC repair service in Charlotte, NC will have your unit back up and running before you know it. We promise to keep your needs and unique situation in mind each step of the way to provide you with the best possible results at a fair price. 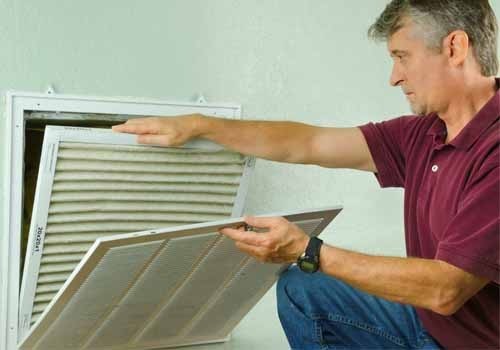 You probably already know you can find a range of companies offering AC repair Charlotte NC. You likely want to understand why you should choose our team instead of opting for the competition, which is a fair question. The EPA licenses our team so that you know you are in great hands from start to finish. In addition to being certified, we also guarantee that we will meet your needs by the time we finish the job. Dependable service and a team you can trust are what you can expect when you enlist Penguin Cooling and Heating for your repair project. Although we can do the job right the first time, we still offer fair pricing that won’t break your budget. By keeping the needs of our clients in mind with each service call, we have built a reputation of trust and respect among the people we serve. Those looking for quality air conditioning repair in Charlotte, NC will sometimes ask about the services we offer. We can handle almost any air conditioning issue you experience. We can do fuse replacements and compressor repair as well as recharge your refrigerant. When you enlist our help with your air conditioning troubles, we can check and repair your ductwork to save you money on your energy bill. Thermostat upgrades and replacements are also among the repair services we are proud to offer. We can come to your property and ensure your circuit board and capacitor are in top shape, and you can opt for our full diagnostic service if you don’t know the source of the problem. Doing what it takes to keep our clients happy is how we maintain success in a crowded industry. You will be pleased with your decision to hire our team the second you see what we can do. Many people view their air conditioner as a luxury item and source of comfort. But when the North Carolina temperatures are at the highest during the peak of summer, maintaining a cool temperature can protect your health. Our normal hours are Monday through Saturday from 7:30 a.m. to 10:00 p.m., but we are available 24/7 for emergency service. If you face a problem outside of our normal operating hours, you can call our emergency line for prompt and reliable service. We promise to be at your door within two hours of your call, and you won’t even need to pay an extra fee. You want to act quickly when you notice problems with your air conditioner so that they don’t have time to progress. If you need a dependable team that will meet your needs at a fair price you can afford, Penguin Cooling and Heating is ready to have your back. We will send a trained and caring expert to your door on a day and time that work the best for you. Our prompt, friendly service will have your unit working again in no time, and you will be pleased with the outcome. Give us a call at 704-296-0800 or fill out the contact form on our website when you are ready to begin.